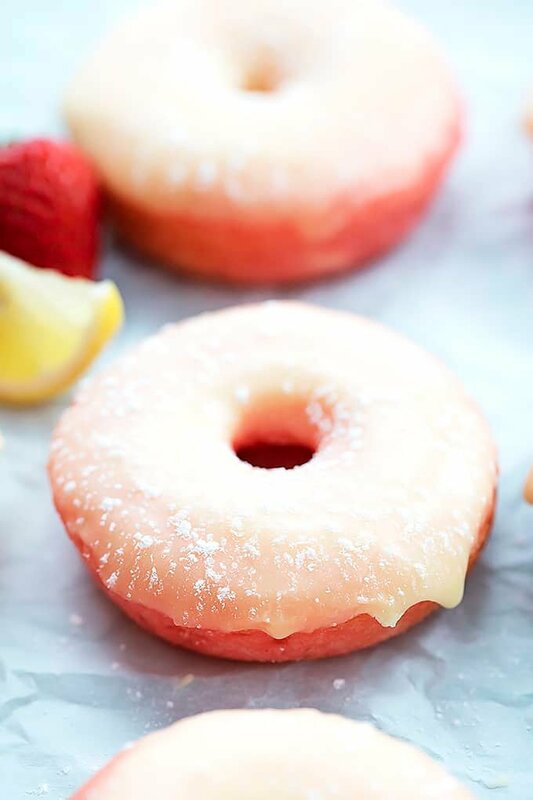 Soft and moist baked Strawberry Lemonade Donuts that use a cake mix! Dip them in sweet and tangy cream cheese lemon icing for the perfect summer treat! Happy Sunday!!! Let’s celebrate with DONUTS! 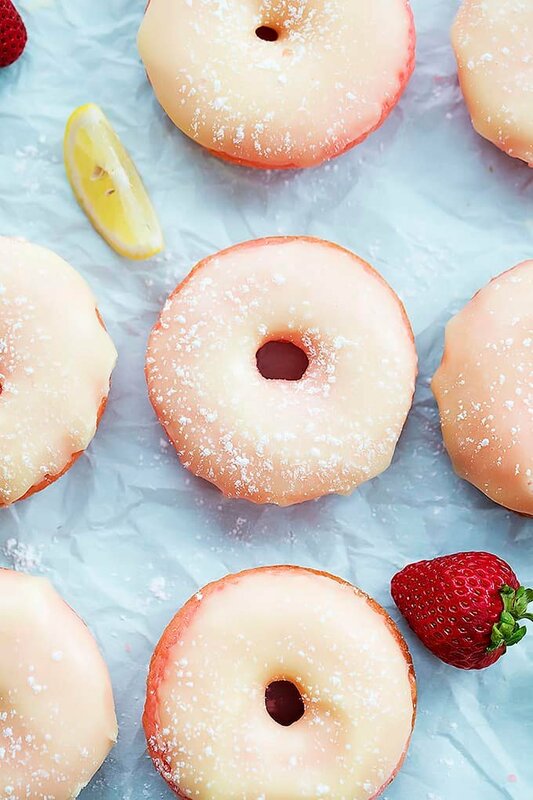 Super moist and cakey strawberry lemonade donuts actually. And speaking of cakey… this is the best part…. they’re made with a cake mix! 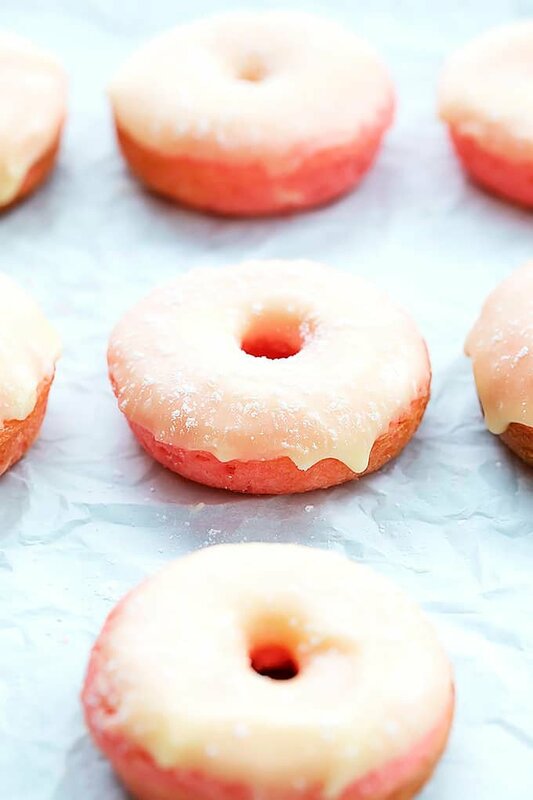 Cake mix + 3 ingredients and you’ve got perfect, baked strawberry donuts. That’s just genius. I’ve been wanting a donut pan for the past year, why I haven’t just bought one is beyond me – I really have no excuse – but this week I did it. I got myself a donut pan. And ohhhhh boy watch out because donut overload is coming your direction. First up: strawberry donuts with lemon cream cheese icing. As soon as I took the first bite they reminded me of a tall glass of fresh strawberry lemonade. These are so bright and summery, I can’t get enough of them. But they’re baked so that makes them okay to eat for breakfast, lunch, dinner, and midnight snack, right? Preheat oven to 350 and grease a donut baking pan. 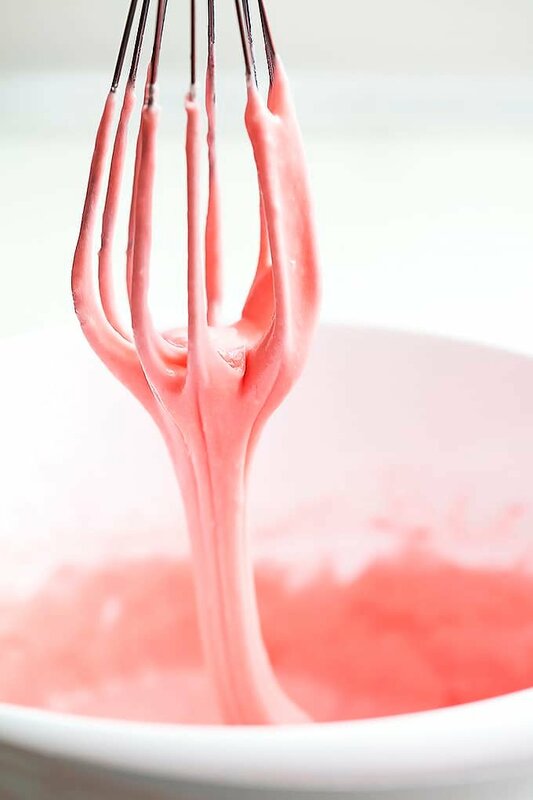 In a large bowl whisk together cake mix, egg, water, and vegetable oil until smooth. Transfer mixture to a large resealable bag. Push the batter into one corner and twist the top of the bag to keep the batter inside. Snip the corner of the bag and squeeze the batter into the baking pan filling each donut cavern 2/3 full. Bake for 12-14 minutes until the edges barely start to brown. Remove from oven and allow to cool in the pan for 5-10 minutes until they easily come out of the pan ( if they are sticking, leave them to cool for a few more minutes before trying again). Donuts are best fresh but you can store them in an airtight container at room temperature up to 3 days. Makes about 18 - 4 inch donuts. What a great flavor idea for a donut! So in love with these! These look really delightful. Good photography as well! Thanks a lot for sharing. Hi! I would love to make these, they look yummy! Quick question first, for the icing you list 2 ounces of cream cheese as 2 tablespoons, but 2 ounces of cream cheese is actually a 1/4 cup, or 4 tablespoons. So I’m wondering, did you use 2 ounces or 2 tablespoons to make yours? Thanks! 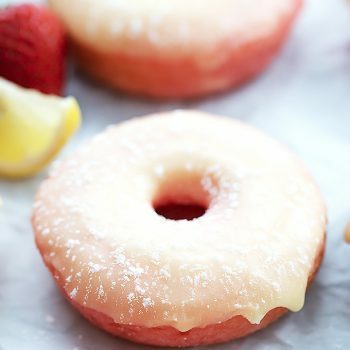 Its looking very DELICIOUS and i am trying to make this strawberry lemonade donuts. buddies i also sharing a best performing site for creating a backup files and restore services. RDR2 Online money generator for you at rdr2money.online ! Hurry up! 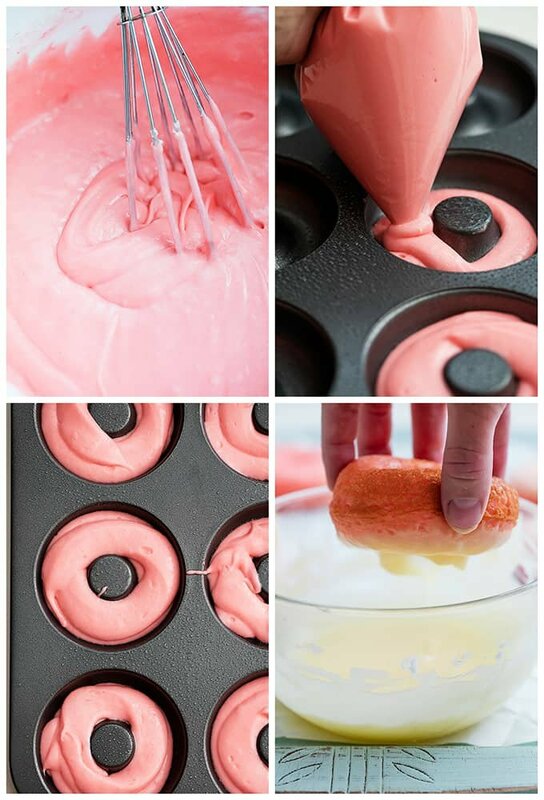 This is amazing Strawberry Lemonade Donuts. I loved it. Thanks for sharing.